Fellows Construction Consultants continues a strong relationship with Shropshire Towns and Rural Housing for their Brynmelyn scheme. This scheme is for two affordable new build bungalows. The development will provide the consumer with a modern, high spec home. Former infill site; dwellings are built to Secured by Design accreditation; two 1B2P Bungalows. 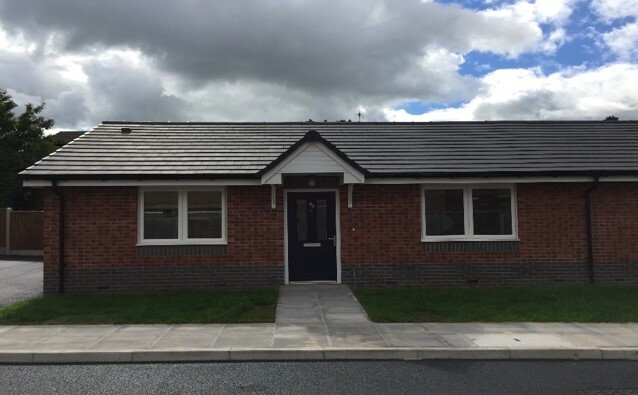 Fellows Consultants were appointed by Shropshire Towns and Rural Housing as the Project Manager and Cost Consultant for the design and construction of two new affordable bungalows including all associated external works. Due to planning and funding constraints, Fellows had to produce the Tender Documents in a short time frame. Works included a full range of pre and post contract services including: appointment of the design team, programming, cost planning, value engineering, contract documentation, contract administration, monthly cost reporting and advising the client of contractual obligations.